We have to finish planting the bare-rooted trees by the end of the week! We have a large group of volunteers staying for the weekend, come and join in. Bring a strong digging spade. Take the A681Todmorden to Bacup Road(off the A6033 Todmorden to Rochdale Road). After one mile you come to the crossroads at the tiny hamlet of Clough Foot. Turn left. You will see a Yorkshire Water sign board on your left. Keep going untill you see the Yorkshire Water Treatment Works on your right. You can park here. There will be signs directing you to the tree planting. 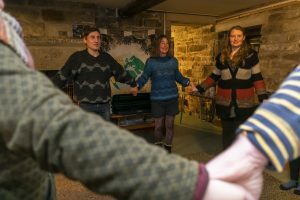 £35 for: Two Nights Accommodation, Great Vegan Food, Two Days Tree Planting, Pick Ups from Railway Stations -from Hebden Bridge on Friday Evening and from Todmorden Saturday & Sunday Morning. March 22nd – 24th 2019: Booked for Tibet Support Group York! 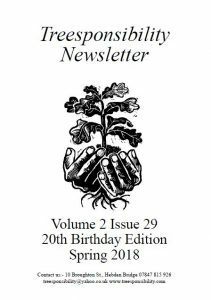 April 5th – 7th 2019: Booked for GAPS reunion! 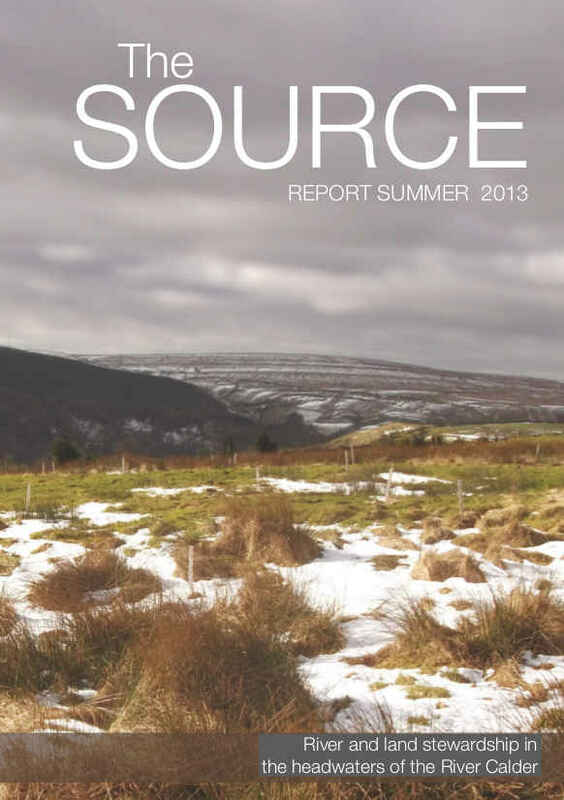 Latest Source Partnership Report Now Available. Burning on the Walshaw Estate at the head of Hebden Water increases river flows in Hebden Bridge. 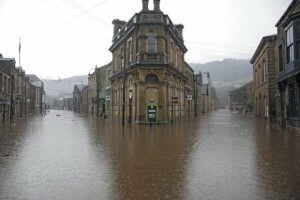 Hebden Bridge is prone to flooding. There’s no denying it, but there are things we can do to minimise the risk. For some time now it has been thought that the burning of heather for grouse shooting purposes has been contributing to the flooding risk, and there has been campaigning going on locally to try and have this addressed. In May this year, Treesponsibility commissioned Dr. Nick Odoni (honorary fellow, Department of Geography, Durham University) to undertake a modelling study and investigation into how annual burning on the Walshaw Moor estate may affect high river flows in Hebden Bridge, as well as a further supplementary study into the effects of increasing sphagnum cover. Click here to see the modelling study, showing the main results, conclusions and recommendations for further work. 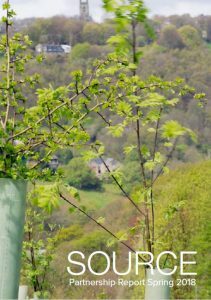 TREESPONSIBILITY are a key delivery partner in The SOURCE partnership, which aims to take preventative action to help create a healthy, resilient and biodiverse landscape, for the benefit of all the people in our valley both now, and in future years. 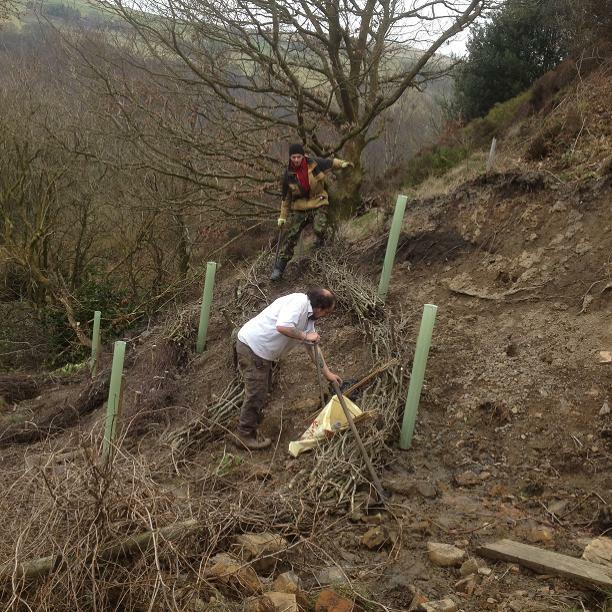 Minimise flash flooding through appropriately sited tree-planting schemes. Treat damaged land and control erosion. Monitor invertebrates in the river and carry out habitat improvements. 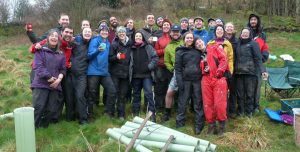 Undertake educational activities and encourage volunteering so people of all ages and from all walks of life become aware of the value of our rivers and uplands. 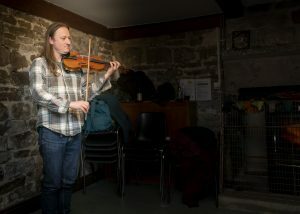 Slowing the Flow Tour at Upper Strines Farm, Colden Clough. 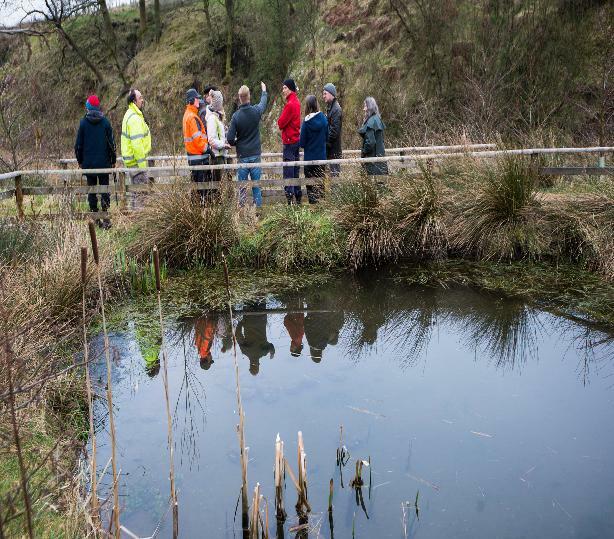 Mike Potter from Pickering Civic Society, Nick Odini, a scientist from Durham University and Local landscape engineer Stuart Bradshaw joined us in March for a tour of potential “slowing the flow” sites. Here we are at Higher Strines Farm, where landowner Matt Taylor showed us the work he has been doing on his land which could be be replicated elsewhere. 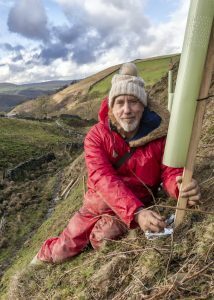 Matt is part of the Hebden Water and Colden Water Working Group, one of four working groups set up by the SOURCE Partnership to plan slowing the flow measures in different parts of the catchment. Stuart is now part of the Flood Studies Group, and Nick Odini is modelling flow on Walshaw Moor to show the effects of heather burning on the rate of flow from the land into the water courses. 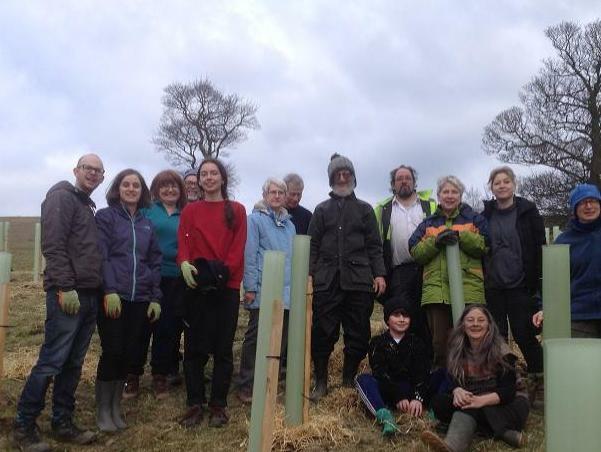 Volunteers from the Manchester Quakers group have joined us for tree planting every year since the very beginning of Treesponsibility. 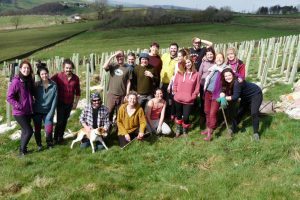 This year being no exception, they arrived on a bright and sunny Sunday in March this year to help with our planting site at Lodge Farm, up on a steep hillside approximately halfway between Hebden Bridge and Todmorden. You may have seen this when we first planted on this site in early March and were filmed for BBC Breakfast News. trees is completely shaded out so nothing grows leaving bare and vulnerable soil. To replace them we planted deep rooting oaks and tough spreading blackthorns. 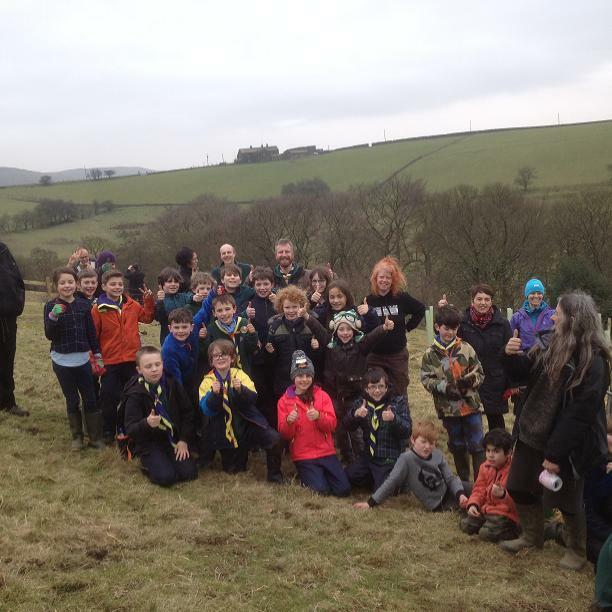 Hebden Bridge Scouts Planting – 12th March 2016. 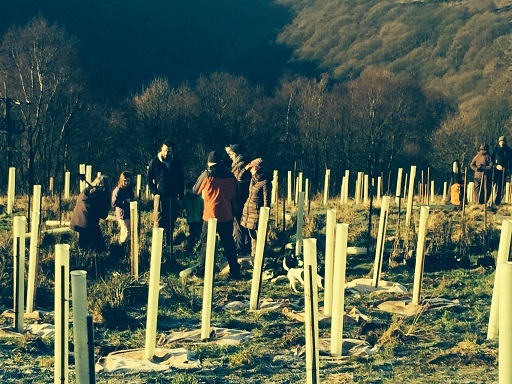 We were very pleased that Hebden Bridge Scouts were able to come tree planting at last. The previous date set for them in December brought non stop torrential rain. We didn’t want to put the young people off for life so we agreed to cancel and choose another date. In the meantime the land where they were to plant their trees and where our work team had done the preparation was withdraw by the owner from the tree planting programme. 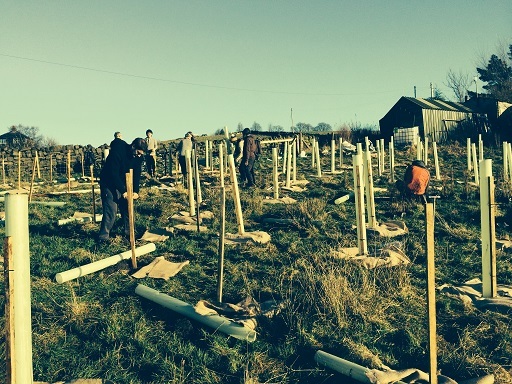 Luckily Kate at Lodge Farm got in touch right after the boxing day flood to say she could offer a substantial plot of land for tree planting. 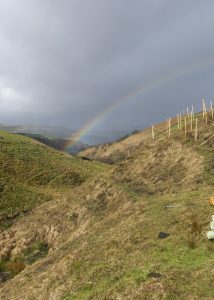 Lodge Farm is a prime site situated on the Burnt Acres hillside below Stoodley Pike and above the sewage works. The trees here will help slow the flow of run off down to the canal and sewage works. After the Boxing Day Floods it was clear that we needed to up our game, in other words to scale up our operation. 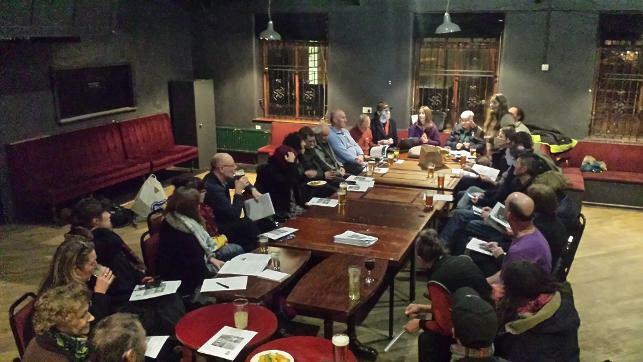 When we held the first of our public meetings in February to gather new volunteers and spread the news about Natural Flood Management over forty people came, which was amazing. 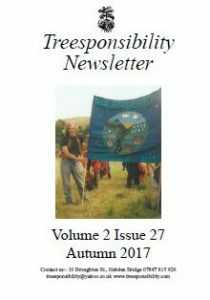 Some have since come tree planting, one is helping to create a website for the SOURCE and some have joined other SOURCE working groups. 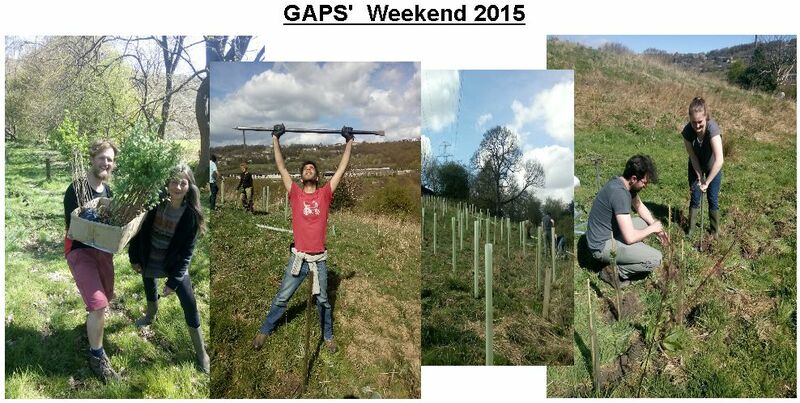 From the 8th to 10th March 2016 the GAPS group came to plant at Higher House Barn, a property near Turley Holes in Crag Vale. 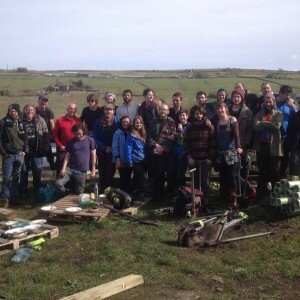 GAPS, or the Gardening and Permaculture Society from Manchester University, first joined us in February 2008 Now they are dispersed around the country they come back every year for a tree planting weekend and a reunion. Not everyone makes it each year but they always bring a new friend. Local volunteers Bill and Colin joined us for the day sunday and over the weekend 1,000 trees were planted. February 3rd to 5th 2016 was our first residential weekend of the New Year. The weather was damp but unseasonably mild. 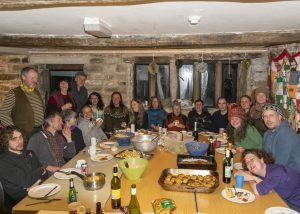 Nineteen young volunteers from the Woodcraft Folk stayed at Height Gate Hostel with us for the weekend. 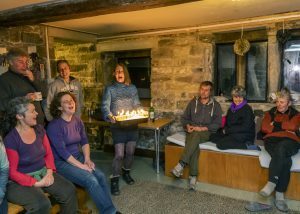 Height Gate is a home from home for this group as it is a national centre owned by the Woodcraft but open for anyone to book. 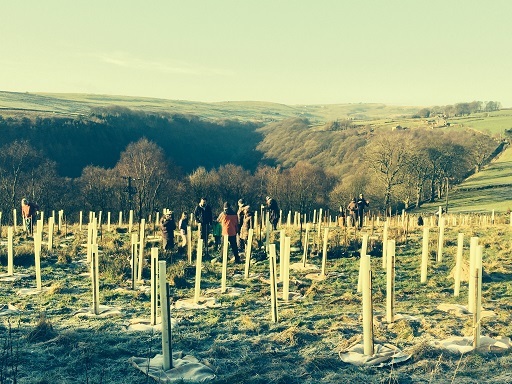 Five hundred and eighty trees were planted at Raw Hey Farm situated above Cornholme in the Upper Calder Valley. These trees will contribute to natural flood attenuation measures in this area. We were joined on the Sunday by a group of volunteers from The College for International Co-operation and Development, which is situated near Hull. 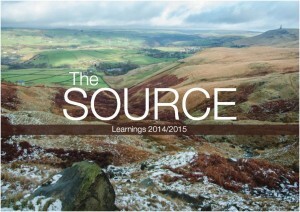 The latest SOURCE Learnings 2014/15 booklet, and the Autumn 2015 Newsletter are both available for you to download. 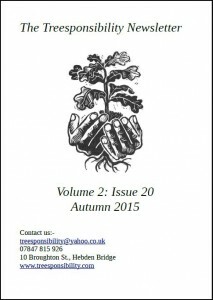 Click the images left and right to get your copies. Season 2014/15 finished with a busy April. We had three residential weekends on the trot. 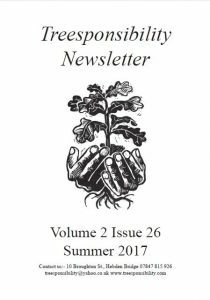 We were very happy to welcome GAPS for what we think must be their seventh or eighth year. 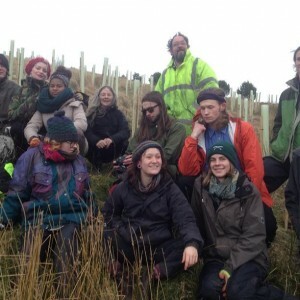 When they had their first residential tree planting weekend they were all part of the Gardening and Permaculture Society at Manchester University. Now they are dispersed over the country and sometimes abroad. Sometimes they bring along people they have met, but they are still GAPS. Last season they were the first group to plant on Gorpley on what must have been the wettest day of the year. 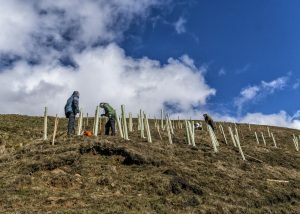 This year the weather was kind to them as you can see from the photos taken on the Sunday when we planted 100metres of hedge and a small woodland of 300 trees on a rough bit of hillside near Sowerby Bridge. We also hosted a group of young people from the Woodcraft Folk. On the Saturday of their weekend we were joined by fifteen young men from Muslims for Humanity. 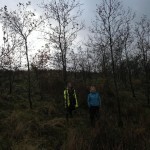 Altogether, six hundred and sixty trees were planted at Rambles, Blackshaw Royd. 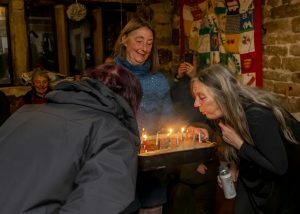 Our final weekend of the season was a birthday celebration. 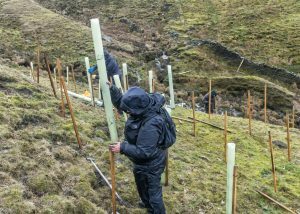 We planted 560 trees at Shore Green above Cornholme on a rather wet Saturday. 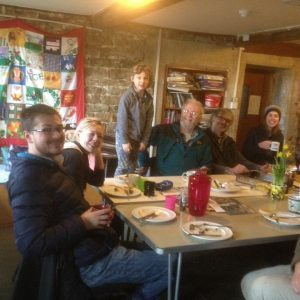 The group included several young children and we were very lucky that landowners Caroline and Marcus welcomed us in to their cosy kitchen to dry off from time to time. 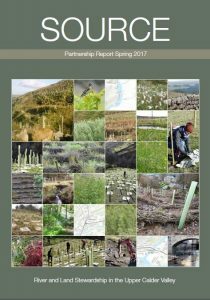 If you would like to bring a group of people together for a tree planting weekend just get in touch via our contact form. A fantastic weekend was had by all. 40 volunteers joined us altogether and we planted 1,200 trees. Saturday morning brought rain and sleet but the volunteers were not deterred. Sunday opened sunny and frosty. The ground was too hard for planting at first but the sun soon warmed the earth through. A big, Thank You to Emily for the photos. 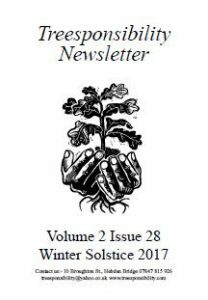 The latest newsletter is available for you to download for free. 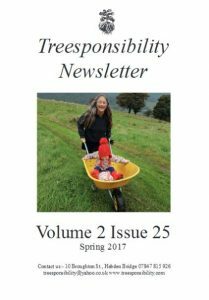 To get your copy click here…..
Treesponsibility aims to help educate people about the need for action on climate change, and to involve local communities in tree-planting projects to improve our local environment and biodiversity for the benefit of local people and future generations. 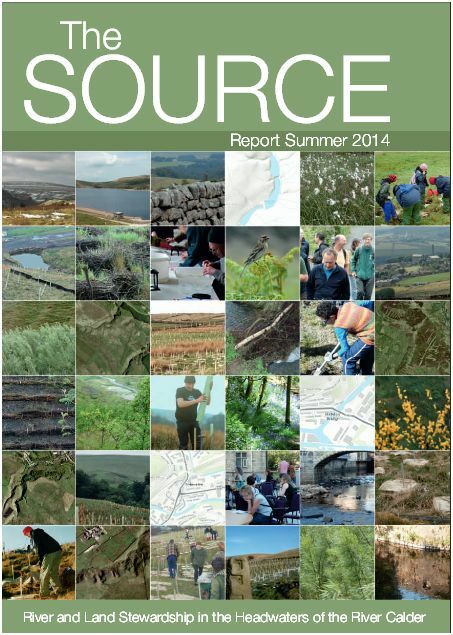 Available Now… The SOURCE Report 2014… Click here to download your copy. Thieves Target Flood Prevention Project. We’re not just interested in trees you know. In recent years a great deal of research has been carried out on the value of peat bogs, and of particular interest at the moment is their ability to help reduce the risk of flooding. 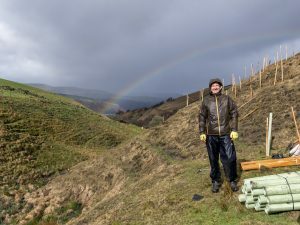 Click here to read about how South West Water and its partners are restoring the peat bogs of Exmoor, and see just what a difference this amazing but undervalued resource can make. Read more….. The uplands feeding the source of the River Calder are in a seriously degraded state. A history of mining, inappropriate drainage, acid rain, over-grazing, dumping and quarrying have all taken their toll. In heavy rainfall, soils wash down into the river channels, and gullies deepen and erode. As climate change intensifies, this problem will only get worse. By taking a RIVER BASIN approach, such problems can be understood within their wider context. 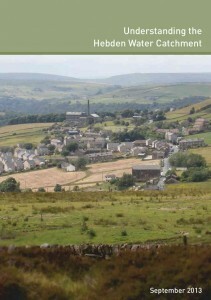 A recently published booklet ‘UNDERSTANDING THE HEBDEN WATER CATCHMENT’ explains how a river basin approach offers the best way of appreciating how all of the various management issues are interwoven. Please download a copy of the booklet by clicking the image on the right. 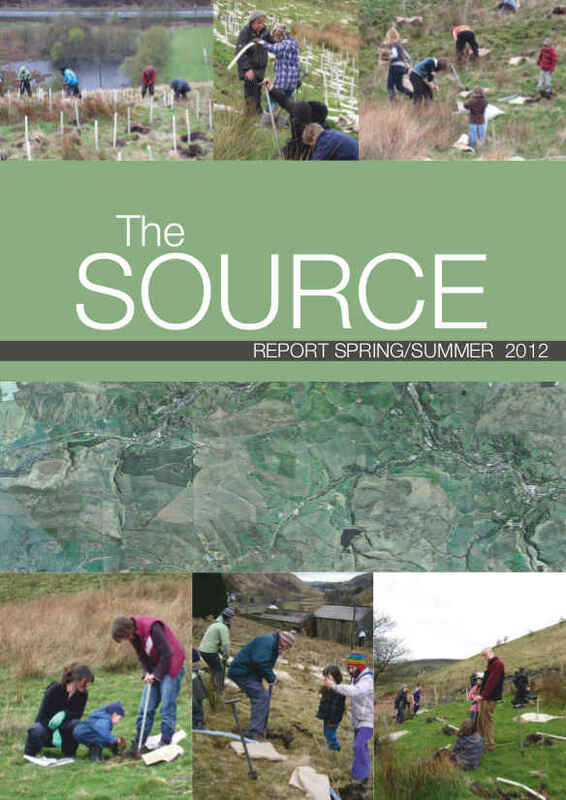 PLEASE CLICK ON THE IMAGES TO THE LEFT FOR REPORTS FROM 2012, 2013 , AND NOW 2014 SOURCE ACTIVITIES! If you own land in the area between Cornholme and Walsden, please get in touch. 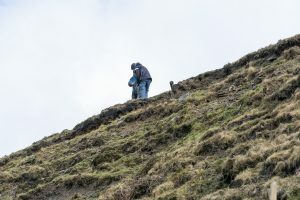 We are particularly interested in steep or eroding hillsides, derelict land, or moorlands in poor condition, so that we can assess them for restoration work. There will be no cost to you. We are also looking for volunteers to help with the survey work. If you have expertise in this area, so much the better, but full training will be given. We want schools to get involved too! We intend to develop educational school trips to the watershed area, so that the children can gain awareness of the importance of our upland catchment. The children will be actively involved in the project, by helping us to monitor progress.